Annihilation (film, 2018). A 2018 science fiction horror film with "R" rating by Paramount Pictures (North America and China)/Netflix (International). Directed by Alex Garland. Official Trailer. 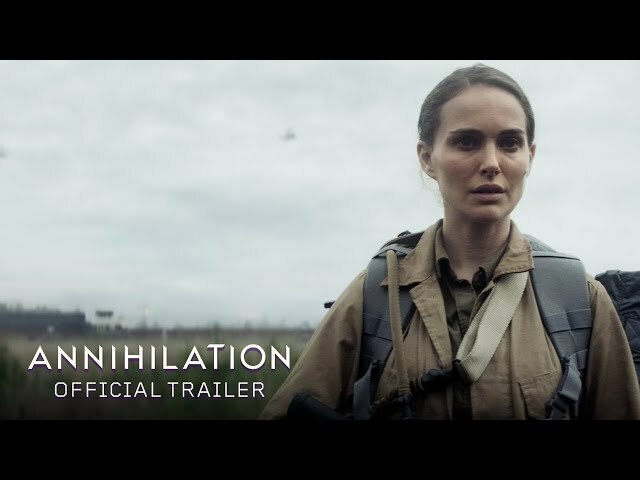 Annihilation is a 2018 science fiction horror film directed by Alex Garland. 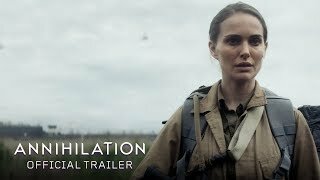 Annihilation (2018) - Official Trailer - Paramount Pictures. Lena, a cellular-biology professor and former soldier, tells her story under interrogation by odd men in hazmat suits. Lena was happily married to Kane, who disappeared on a covert mission. Twelve months later, Kane suddenly comes home. He remembers nothing and expresses little. Suddenly, he vomits blood. Lena calls an ambulance, but she and Kane are intercepted by security forces and sedated. Lena awakes in a secret facility. A psychologist, Dr. Ventress, explains that Kane's mission was to explore "the Shimmer", an expanding zone covered by iridescent light. The Shimmer emerged three years ago from a lighthouse in a national park. Ventress organized exploratory expeditions, but no one returned except Kane. Kane now remains unconscious and on life support. Lena learns Ventress is leading a new expedition with Anya the paramedic, Cassie the geomorphologist, and Josie the physicist. Lena volunteers to join them to help Kane, though she does not disclose her motives. Upon entering the Shimmer, the team suddenly wakes up inside tents. They deduce several days have passed based on their supplies, but cannot remember what happened. Their communications and navigation equipment are also malfunctioning. Lena documents multiple flower species growing from single stems. Josie is attacked by an alligator; after rescuing her, Lena finds it is hybridized with a shark. Cassie tells Lena that each teammate volunteered to escape self-destructive habits, and it is human nature to practice self-destruction. Lena remembers cheating with a married colleague during Kane's missions. Principal photography was underway by April 2016, when actor David Gyasi was added to the cast. The film Annihilation was scheduled to be released by Paramount Pictures (North America and China) and Netflix (International) on February 13, 2018 (Regency Village Theater), on February 23, 2018 (United States, Canada), on March 12, 2018 (United Kingdom, Brazil, Germany) and on April 13, 2018 (People's Republic of China). The duration of the film is 115 minutes. With a budget of $40 - 55 million, the film grossed over $43.1 million. Annihilation got high rating from critics. The audience also likes the film. Audiences polled by CinemaScore gave the film an average grade of "C" on a scale ranging from A+ to F.